Eiglassing: Southern Gals Challenge - Baby Baby...! Southern Gals Challenge - Baby Baby...! This week the Southern Gals have turned their attention to all things maternal - and that means babies! As you probably know. 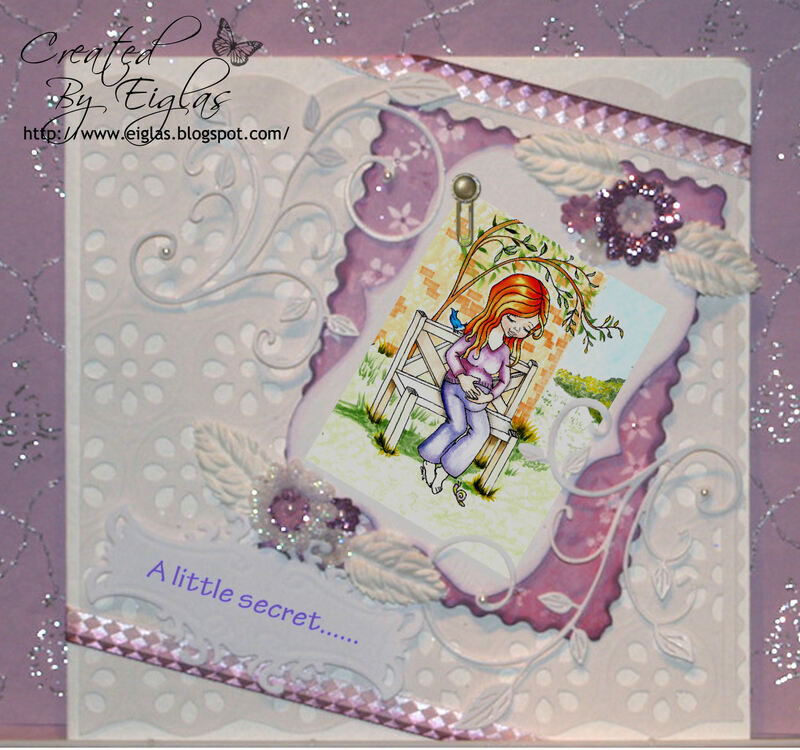 I have one or two digi-stamps of babies.....and also baby-themed digital paper kits, but this time I've used one of my Eiglas digi-stamps, called 'A Little Secret...' portraying a pregnant young woman, which was actually a bespoke drawing I did for a friend who was making a card for one of her pregnant friends. Looking at it now, I wished I'd put a bow on it too and I shall, on the 'real' one! I may take another photo later. Anyway, I'm sure the cards over at Southern Gals are much better than mine anyway. Why not go have a look? Thank you so much for liking my card - I do appreciate your lovely comment on it! I think I perhaps rushed it a bit - I've been a bit short on time lately and trying to get the light for photographs in this crazy weather is a nightmare! LOL! Southern Gals - Things With Wings!